Nicholas Garrigan: Come on! 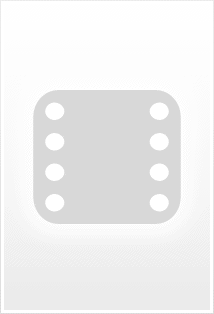 Are youse ready? With "The Last King of Scotland," Kevin MacDonald has created a bracing, exciting and totally satisfying thriller. 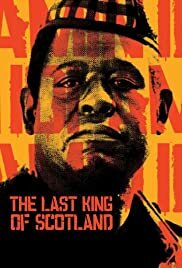 Forest Whitaker gives a titanic performance as Idi Amin, Ugandan dictator who rose to power in the 1970s. James McAvoy plays Nicholas Garrigan, a Scottish physician who travels to Uganda for the adventure and wins Amin's affections, becoming his personal doctor. Garrigan enters into a moral crisis as he begins to realize the kind of man Amin is, and begins to fear for his own life as events spiral more and more out of his control. Whitaker seizes the chance to play this larger than life character and runs with it -- I've never seen Whitaker give so convincing and transforming a performance. However, as good as he is, McAvoy impressed me more. His performance as Garrigan is not as showy, but it's much more textured and subtle, and his character has the bigger arc from start to finish. Gillian Anderson also does terrific work in a small role as a fellow doctor, who understands things about Amin and the African culture that Garrigan does not. 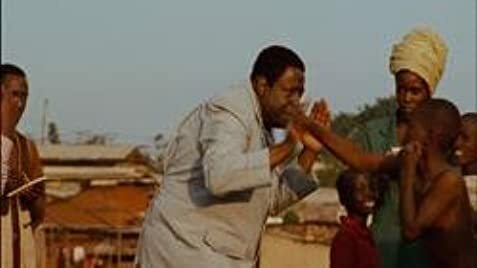 Unlike other recent thrillers set in African nations ("The Constant Gardener," "Hotel Rwanda"), "The Last King of Scotland" is not greatly concerned with the geo-political implications of Amin's reign. The atrocities he committed against Ugandans are given only the barest of mentions, and the film sticks almost exclusively to Garrigan and the danger he himself faces. Some may think the film is irresponsible for this reason -- that the plight of one man pales in comparison to the plight of thousands, and I can see where a criticism like that is justified. But the movie packs a powerful wallop regardless, and complaints like this seem like quibbles when up against such an entertaining movie. 175 of 217 people found this review helpful. Was this review helpful to you?